Morocco is a country for the senses. The colors, scents, sounds, and tastes are all part of the experience. A tour of "Classic Morocco" takes you through some of the most famous cities and towns in the country. You begin your trip by flying into Casablanca. Casablanca offers a handful of sights and attractions, but many visitors choose to spend no more than a day there as other cities are more interesting. From Casablanca, head to the capital city of Rabat, which offers an interesting medina and a variety of day trips to towns such as nearby Sale. From Rabat you can head north to Tangier. If you've taken the ferry from Europe, then this is likely the first city you see in Morocco. 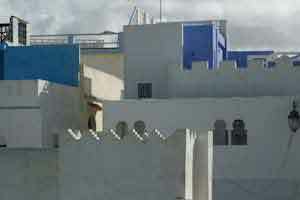 From Tangier, begin heading south down to the beautiful town of Chefcheoun. 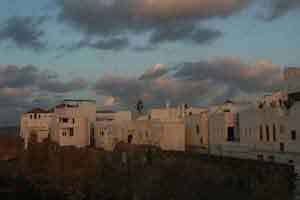 Chefcheoun warrants at least a few days to explore the whitewashed town and the hillside that surrounds it. 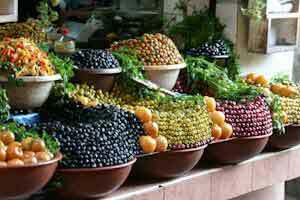 From Chefcheoun you can easily make your way to Fez, which is a favorite for many travelers to Morocco. Fez is one of the most culturally rich cities in Morocco and is definitely worth lingering for a few days. If possible, try to find accommodation within the medina. This will be both convenient and enjoyable, although it might be slightly more expensive for a slightly lower quality room. From Fez, it's a short trip to Meknes, and then you can travel on to the famous and world renowned city of Marrakesh. 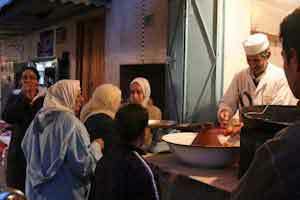 Marrakesh is a beautiful city with an infinite supply of sights and activities. Allow yourself plenty of time to explore the city, its medina, and the many monuments and museums it offers. Once you've had your fill, you can make your way back to Casablanca to catch your flight home. Morocco has many different geographic regions to explore. Some of the most unique and interesting spots to visit are in the Atlas Mountains and the Sahara Desert. Many people enjoy camel trekking while others like to linger and wander through kasbahs. If you're hoping to explore the mountains and desert then this itinerary will take you through some highlights. The city of Marrakesh is a convenient jumping off point. Allow yourself a few days to enjoy the city before taking a bus to the small and famous town of Ait Benhaddou. This town is at the edge of the High Atlas Mountains and has a picturesque kasbah. There are a handful of hotels and restaurants which you can stay at. It's worth spending the night there, but if you decide not to, you can continue on to Ouarzazate. Check the bus schedule to make sure there are connections. Ouarzazate his the largest town in Saharan Morocco. It's a great place to explore and linger for a little while. From there, you can continue on to Merzouga. It's a small Saharan town where you can see the Berber culture first hand. It's also possible to take a camel trek to the nearby sand dunes. This is probably the most popular activity in the town. Another popular town to visit is Erfoud. It is known as the "Gate of Sahara Desert" and is near the famous Erg Chebbi Dunes. It also has a decent number of amenities for travelers. From there you can make your way to the famous city of Fez. Morocco offers a variety of different coastal towns where you can relax, enjoy seafood, and immerse yourself in an interesting culture. Many of the coastal towns are fishing villages where activity begins early in the morning. Other towns have succumbed to the tourism industry and have beaches lined with European resorts. Work your way along the Moroccan coastline to experience a variety of different towns. Marrakesh is a convenient city to begin your trip. 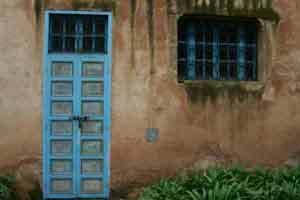 From there you can head to the coast and visit the quaint town of Essaouira. Make sure you try some freshly caught seafood. From Essaouira head down the coast to the city of Agadir. Agadir has a touristy, beach vibe and is popular for its European resorts. After relaxing for a few days in Agadir, head to the picturesque coastline around Sidi Ifni. From there stop off at Taroudant on your way back to Marrakesh.